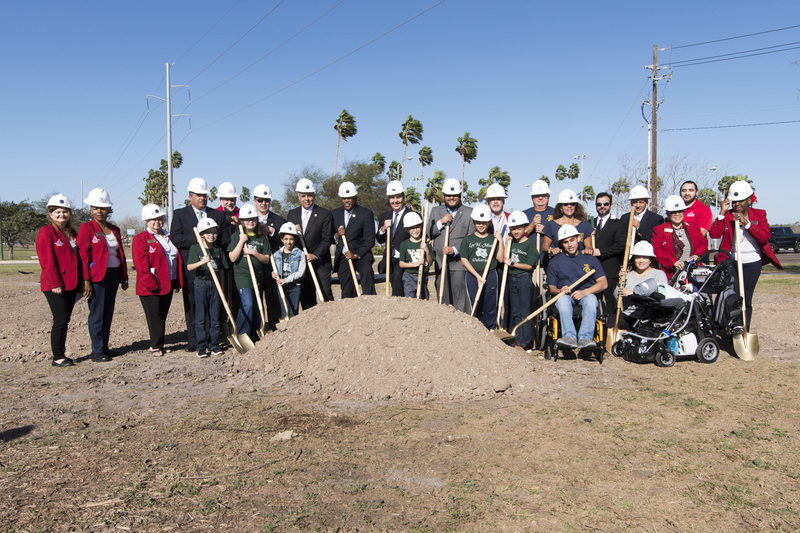 City leaders and community members gathered on January 24 at Pendleton Park to celebrate the groundbreaking for one of three new all-inclusive playgrounds to be built in the City of Harlingen. For Kristen Resendez, knowing that her son will have access to a playground just like any able-bodied child, makes all the difference in the world. Each of the three all-inclusive playgrounds will surpass the basic requirements of compliance with the Americans with Disabilities Act. They will provide access to play for special needs children such as those in wheelchairs, have autism, and hearing or speech impairments among others. Furthermore, they will allow parents and other adults with disabilities the chance to play with their children as opposed to the traditional playground. The equipment will feature a grouping of musical instruments to encourage kids to create music together, a ramp leading to an eight-foot deck with activities along the way, swings, and tunnels. The project is a collaborative effort between the Harlingen Consolidated Independent School District, the City of Harlingen, and Harlingen Sunburst Rotary. All three playgrounds are expected to be completed by the end of March 2017.